Posted On July 23, 2014 by Team iCynosure. In my world of endless disasters, it's imperative that I find my superhero, someone who comes to my rescue and saves me. Someone like Batman, the Dark Knight. In the year 1939, Batman first made his presence felt and immediately found a following amongst all. Over the years he has become the oh so popular and has flown out from the pages of the DC books into blockbuster movies and toy shop. With the Batman fever riding high today, DC Comics announced July 23rd as 'Batman Day' to celebrate the 75th anniversary of the iconic character. There are loads of offers flying around with publishers and various supply companies offering 'Bat-birthday' collectables and a brand new comic authored by Brad Meltzer. In my small little corner in Mumbai, I have my very own Dark Knight saving me from the every day drama and epic disasters. My sweet little cutie pie Dell Venue 7 has proved every huge bulky powerful laptop wrong. My little knight in shining armour is not only pretty but also light on my hands, as quick as lightning and as powerful as it's bigger cousins. It not only has a look that one can boast of with a slender form and amazing features but also compliments me adding glamour to my life. The tablet is such a versatile piece adding so much to the lifestyle that I follow. From being the perfect cynosure of all eyes to a show-stopper fashion accessory to the most important and useful tool on the go, it is a lifesaver 'My Batman My Dark Knight'. Here is a low down of what so special about it, apart from the usual highlights. The stunning HD Screen allows a pixel to pixel detailing not only my favourite apps but the videos and movies I like to watch on the go. The super slim device easily slides into the smallest and trimmest handbags, never weighing down my arm or shoulder. The two-camera option is a sure shot winner for my professional goals and needs. The battery life allows a whole-day utility without fussing overcharges and life-lines. 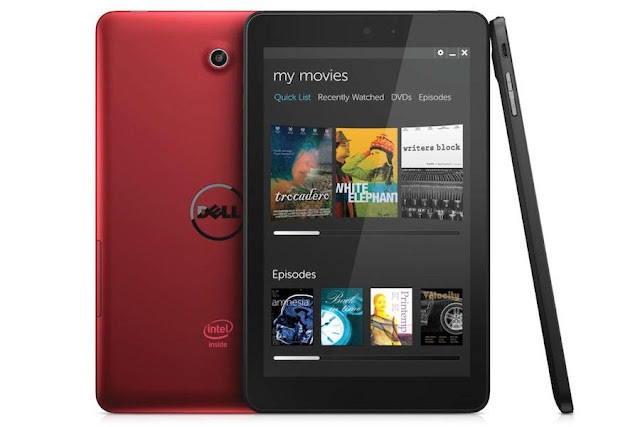 So in a nutshell, the Dell Venue 7 is an iconic baby with a powerhouse battery, dream-like design, paper thin, balloon light and available in breathtaking red and dynamic black.